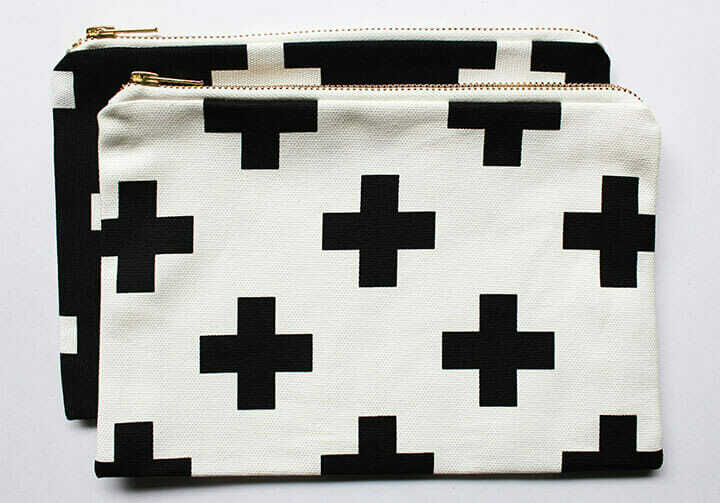 Our new pouches are now officially for sale! They are available in a bunch of colours and designs in 2 sizes, small rectangle & moon. We received so much positive feedback on our instagram sneak peeks of them and we are so excited that you now have the chance to buy them! All of our pouches are made using our screenprinted fabric which is 100% thick, lush & sturdy fabric, they are lined with cotton and have a chunky brass zipper. OMG! these are gorgeous! I want all of them :-D!